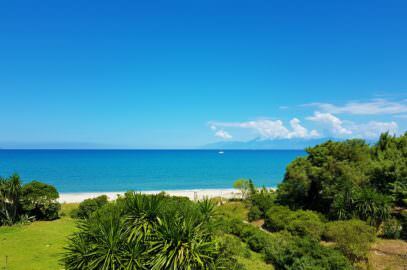 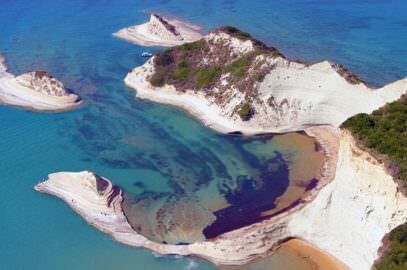 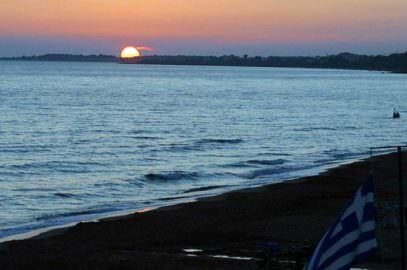 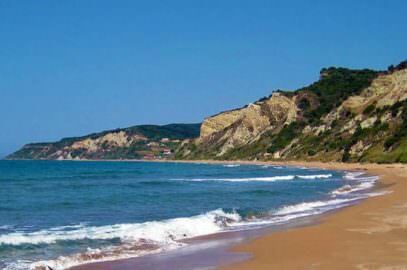 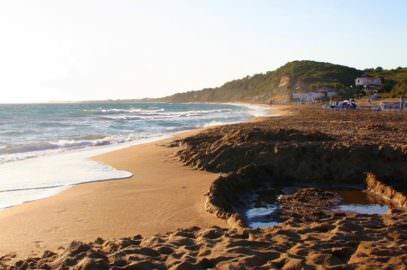 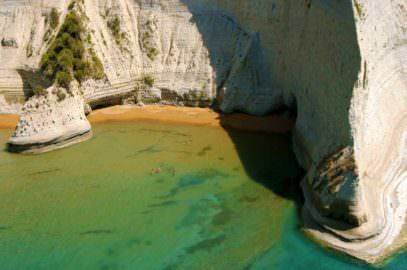 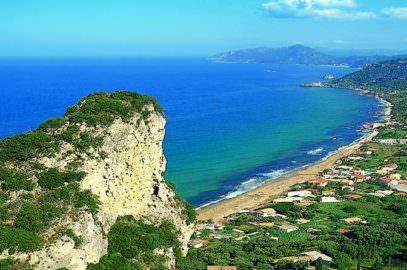 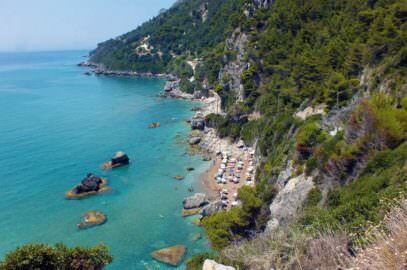 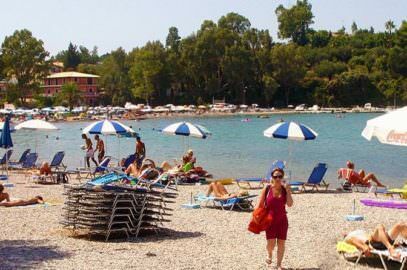 It is one of the largest and quieter beaches of Corfu, is a very laid back, relaxed resort, not overly commercial, and appealing to those wanting a quiet holiday, but with things going on that they can join in if they choose. 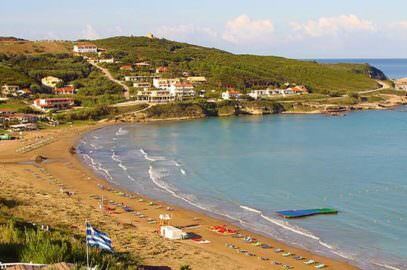 A spectacularly beautiful huge horseshoe shaped bay, fringed with small hotels, bars and tavernas along the length of the sand and shingle beach. 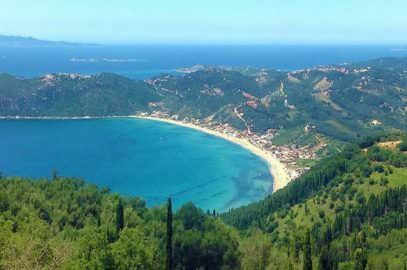 At the northern end, at the top of the cliff, there is the village of Afionas, with stunning views of the sunset and some excellent taverns, the road to the village is extremely uphill. 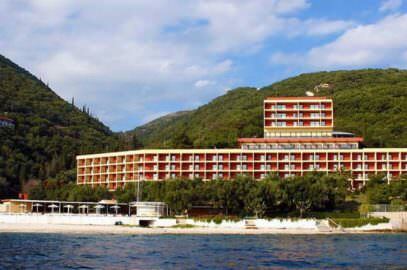 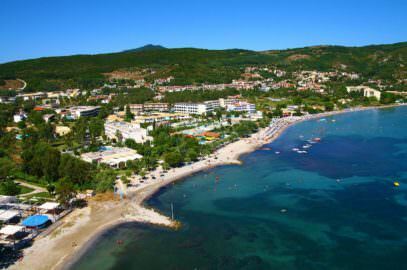 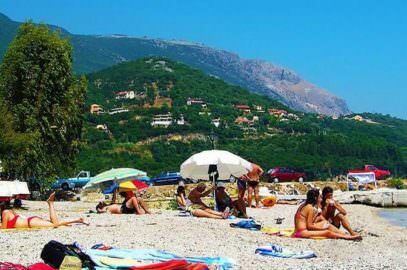 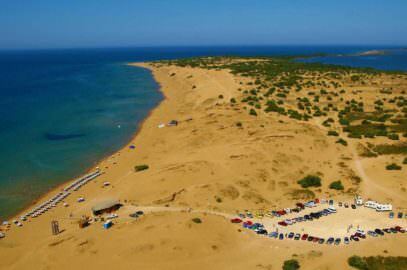 Agios Georgios of Pagoi is a well organized tourist resort providing all the comforts and all the necessary tourist infrastructure both on the beach and on accommodation. 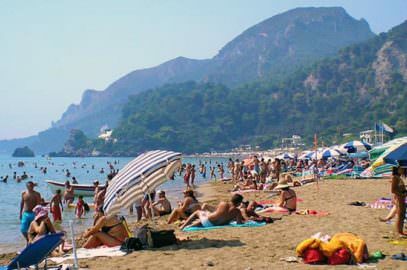 It is especially preferred for family holidays, families with children prefer the southern part of the bay where the waters are very shallow, unlike the northern part where they are deepening. 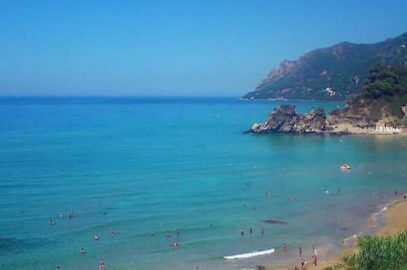 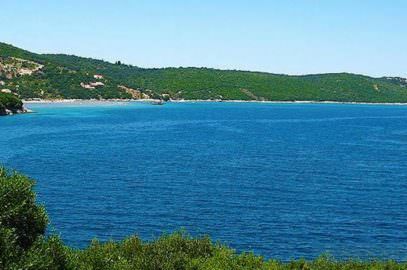 As a Blue Flag beach offers umbrellas, sun loungers, water sports and boat rentals useful for a visit to the neighboring Porto Timoni, a beautiful double sided beach beneath the village of Afionas, as well as to the other small islands in the area. 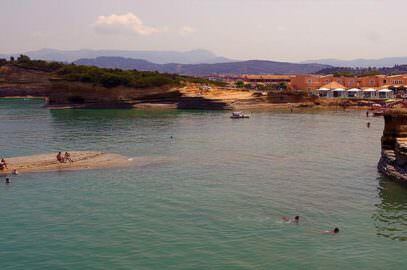 There is also a diving school and a lifeguard. 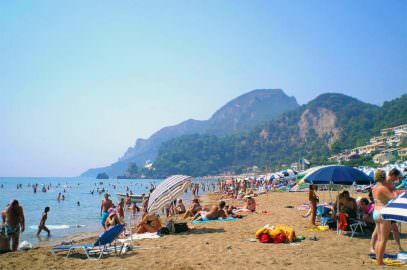 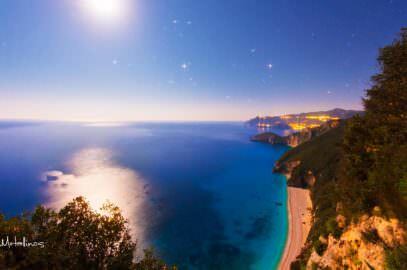 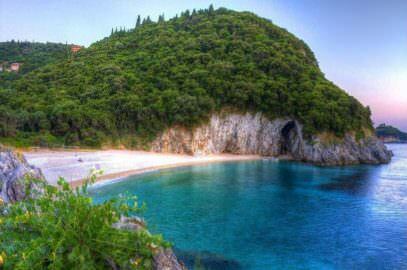 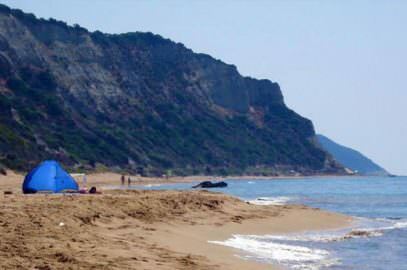 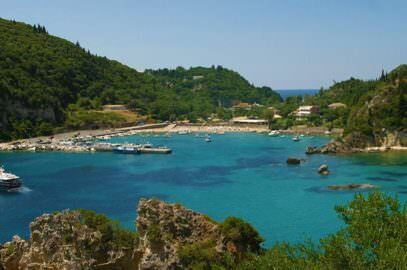 As a tourist area, there are many restaurants, tavernas and cafes all along the coast. 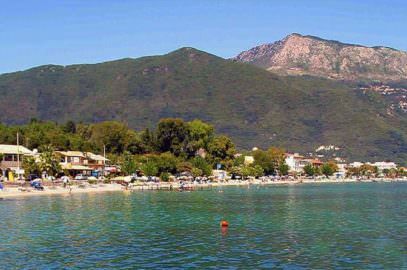 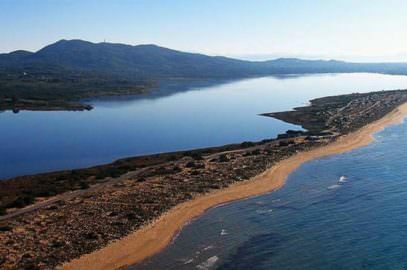 Agios Georgios Pagon is not a traditional village but a settlement that has been created in recent years due to tourism on the previously deserted beach. 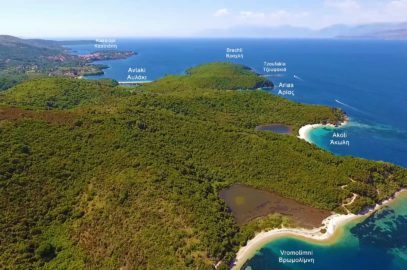 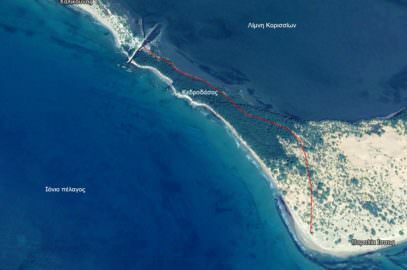 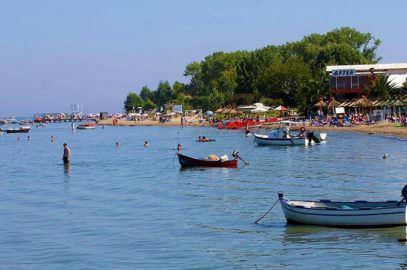 That is why it is not inhabited by permanent residents, there are only about 140 locals living there, mainly residents of the neighboring villages of Afionas, Armenades, Prinilas and Pagoi. 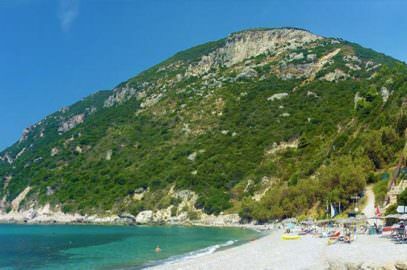 It has almost the same characteristics with the homonymous settlement of the South (Agios Georgios Argyradon), both of which were created by residents of neighboring villages for tourist exploitation.